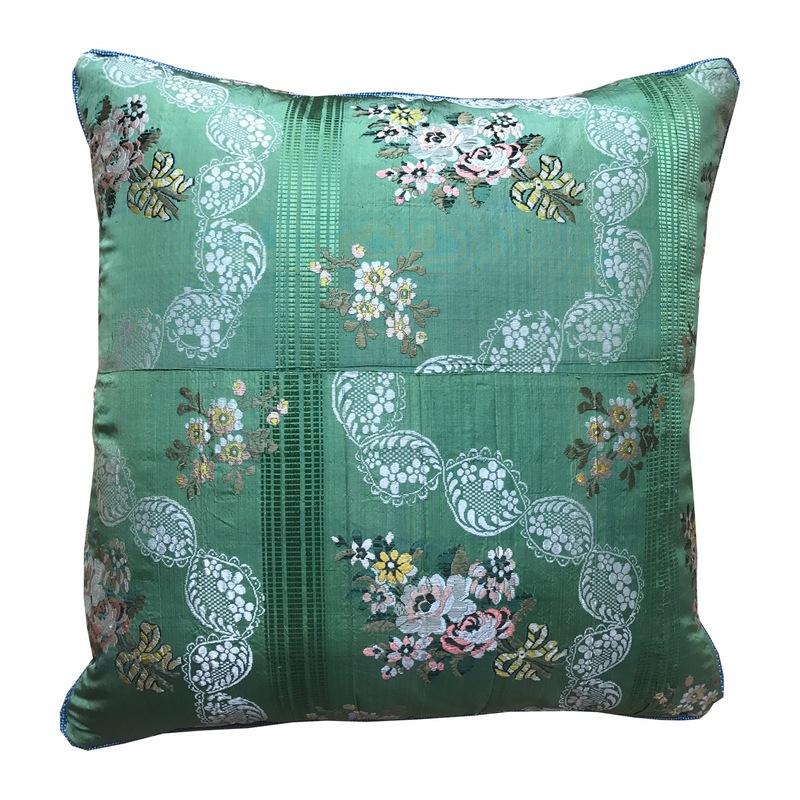 An 18th Century brocaded silk cushion, French 1770’s woven with a design of floral sprigs and flowery ribbon tied bouquets with lace meanders and self striped satin details. 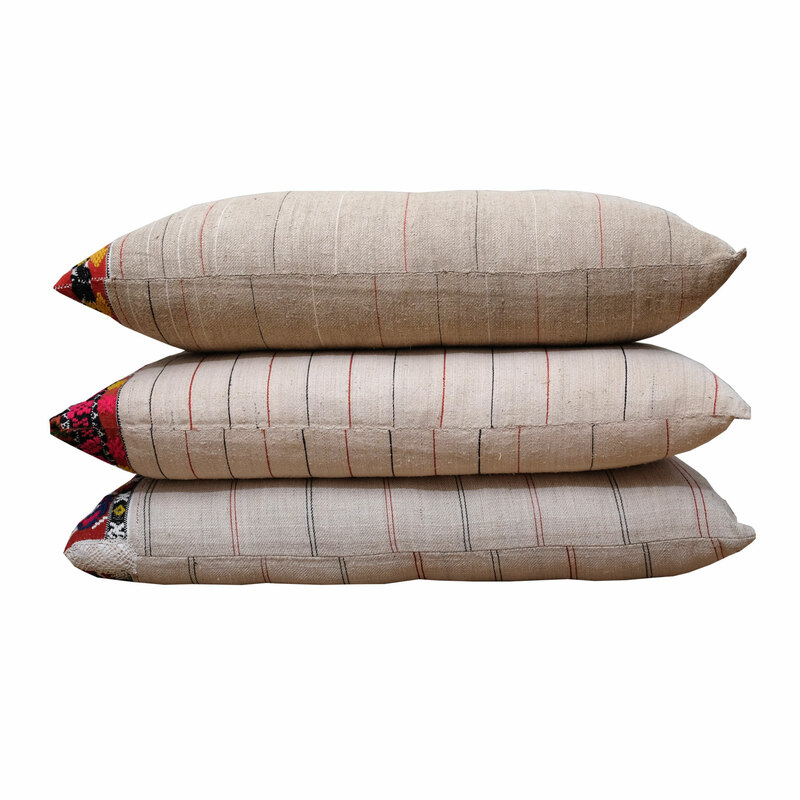 Linen backed with zip and feather pad. 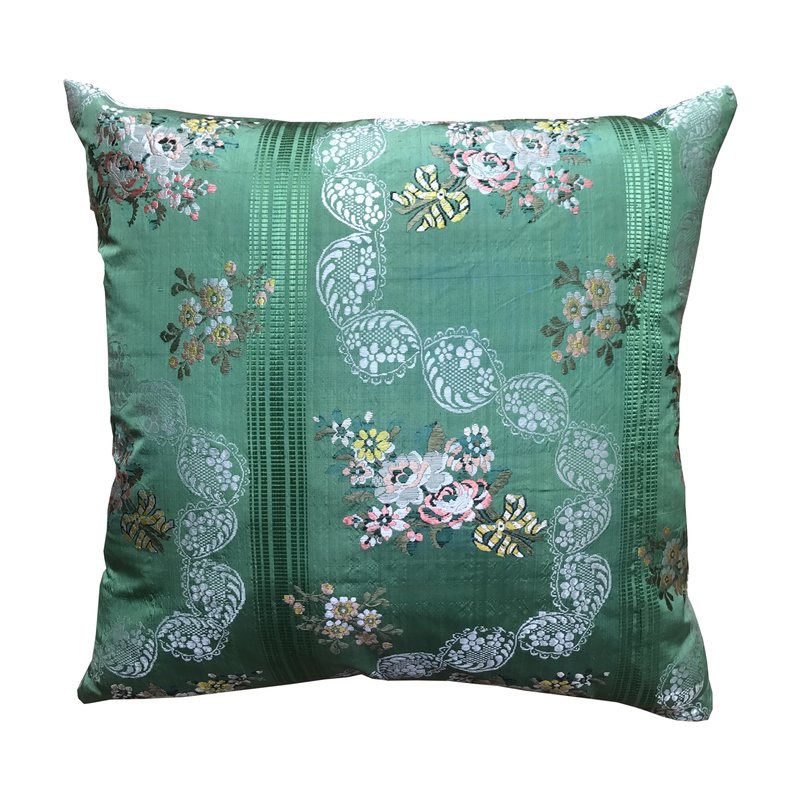 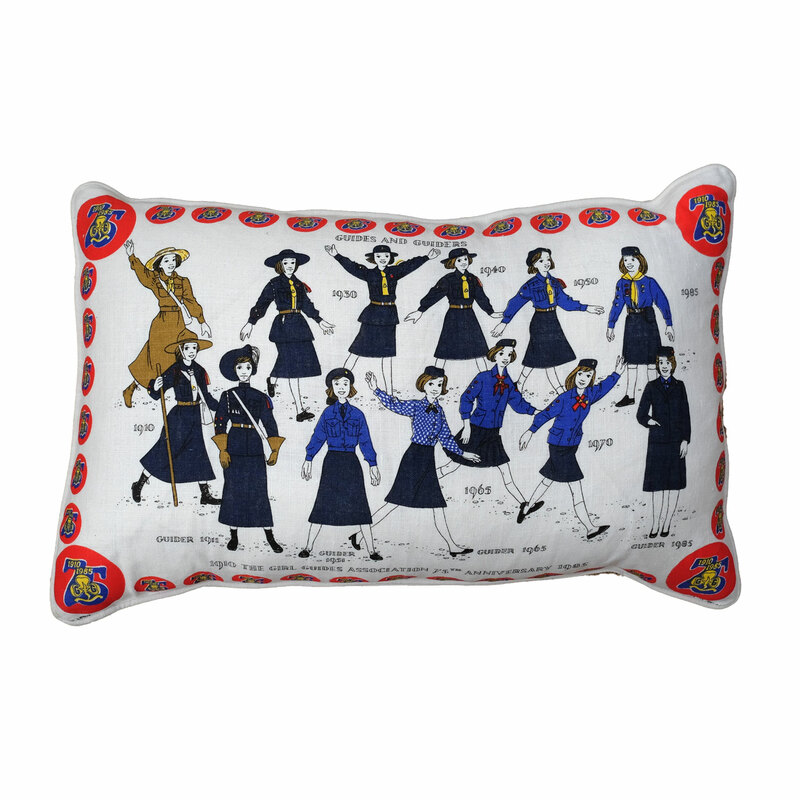 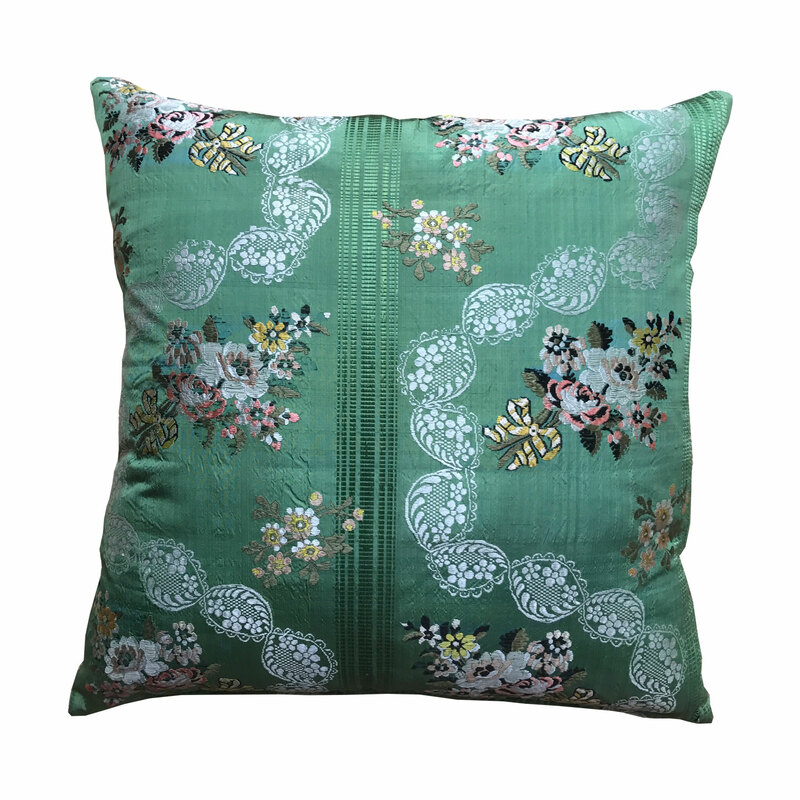 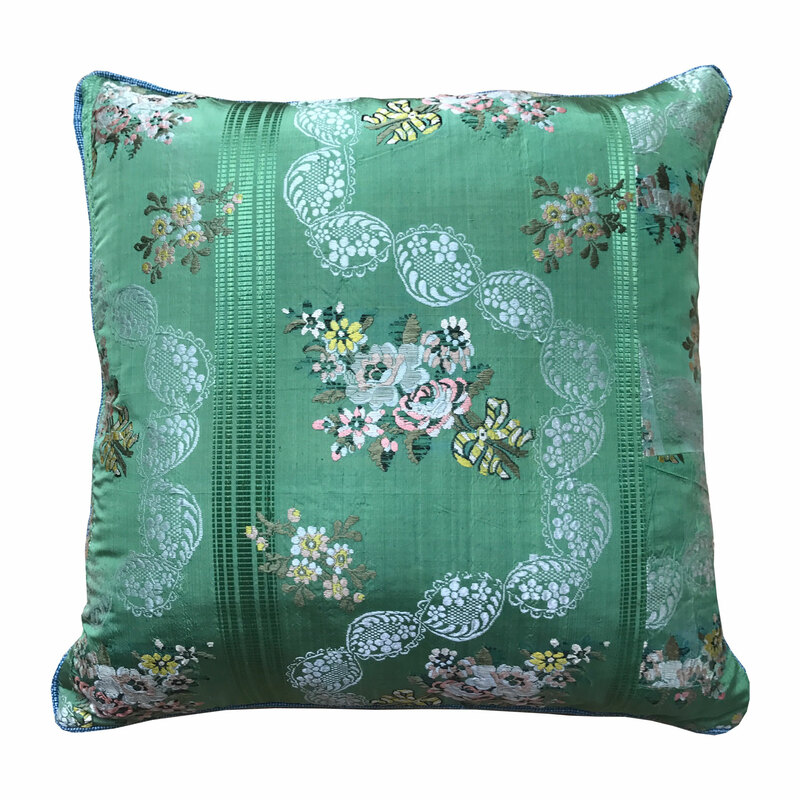 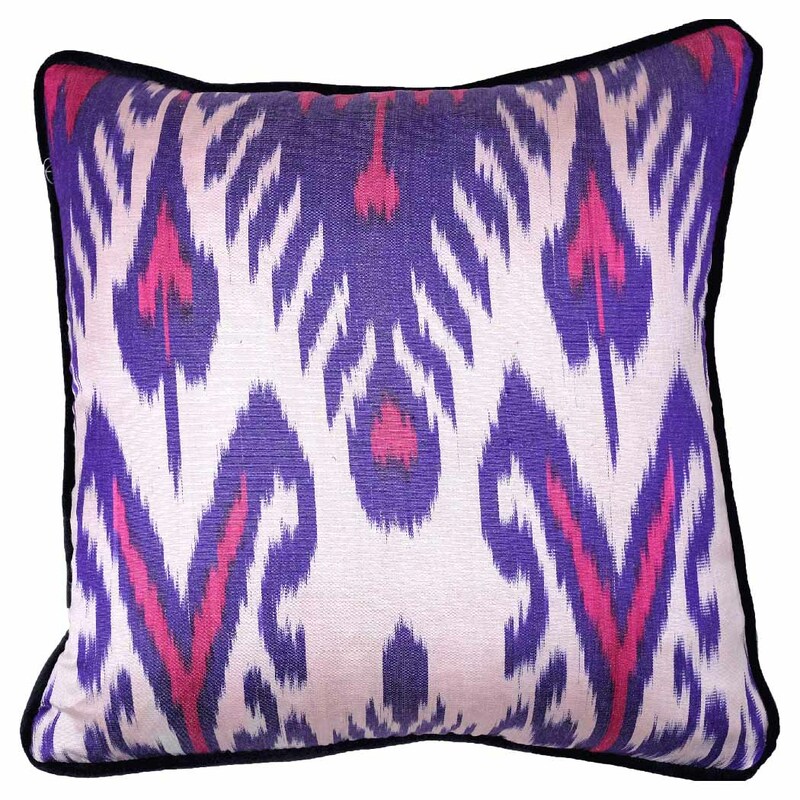 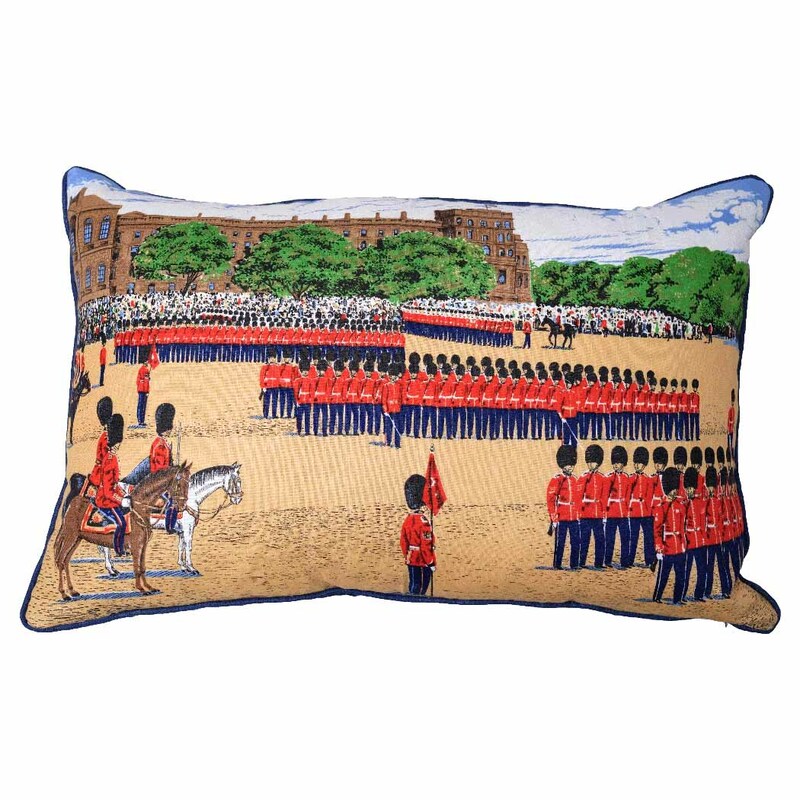 Due to the nature of the silk each cushion is unique. 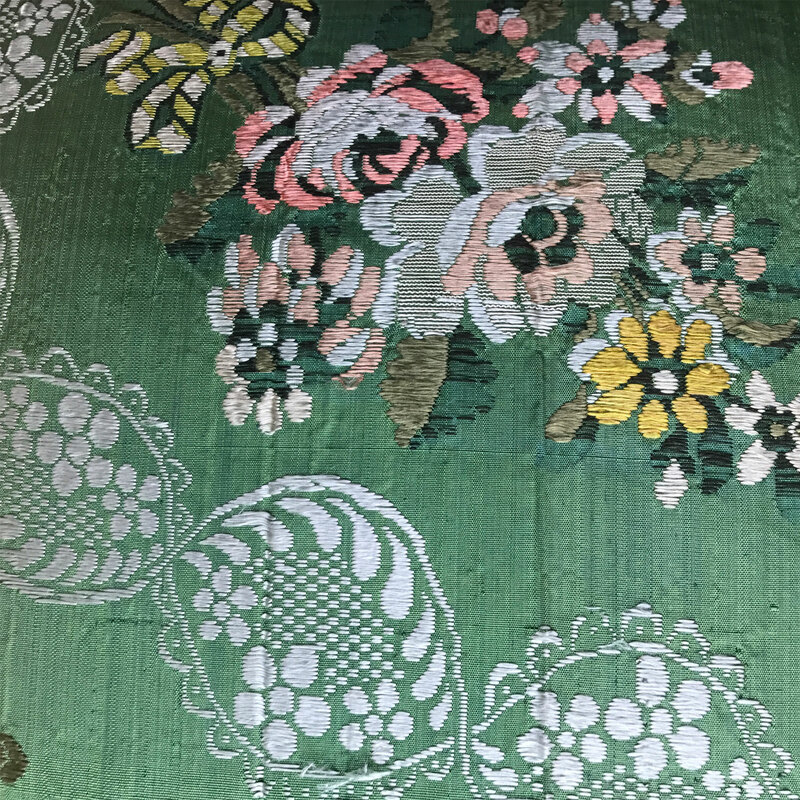 Please email for further information if required.